Al Kendell, Herb Schmidt and H.A. "Frosty" Frost. Some years back I was doing some research in the archive book section of Brigham Young University. In reading about the old airmail pilots who flew the transcontinental mail between the years of 1918 and 1927 I came across an article explaining the term "Gone West." As the old airmail route continued its expansion from the east coast to the west, thirty-two pilots and nine mechanics lost their lives in the line of duty. Three hundred wrecked aircraft were strewn from the Allegheny Mountains known as "The Hell Stretch," across the open plains to the Rockies, the Wasatch, the Sierras into the west coast. 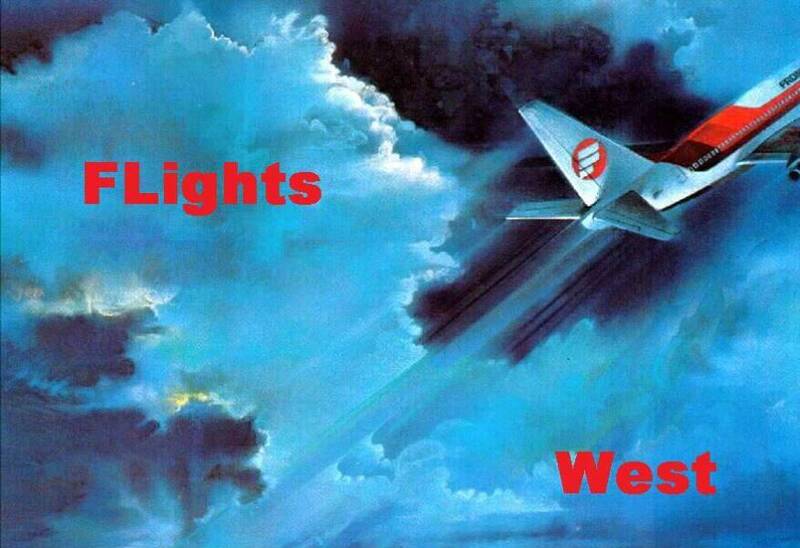 When a pilot was over due, the term "Gone West" came into being. In his book CLOSING THE RING, which is about World War II in 1943, Winston Churchill quotes Victor Emmanuel III, King of Italy, saying to Mussolini, "Sicily has gone west now." This was after the Allies successful attack on Sicily. Ace Avakian sent a poem for one of the FL pilot's webpage. While it is primarily a pilot's poem, it can easily apply to anyone in the airline business. You may find that this Tribute will salve the pain of your loss.